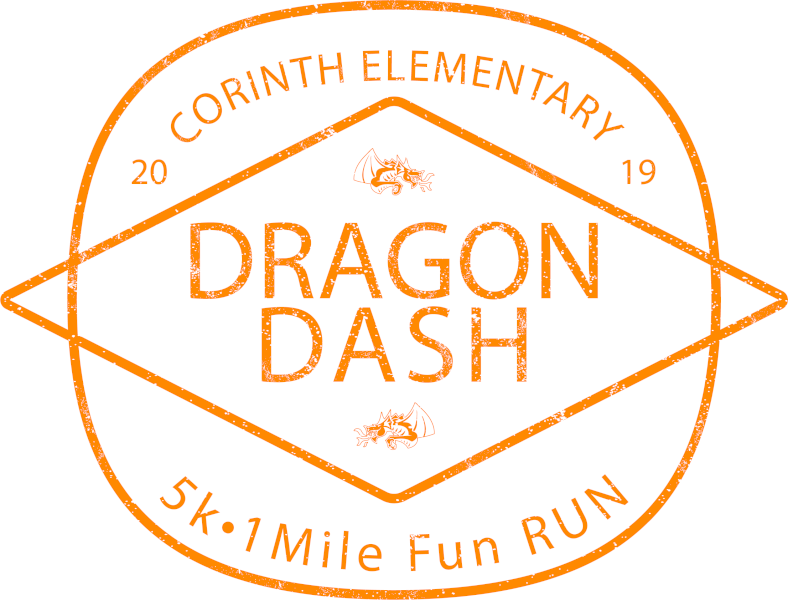 Register for the Corinth Dragon Dash today! The Corinth Dragon Dash is a 5K run and 1 mile fun run. The race is held annually and all proceeds benefit the Corinth PTA which helps supports the Corinth Social Worker, Math Aide and other community funded positions. No prizes or awards are included in this event. This is a school fundraising event that brings students, teachers, staff and families together to support and celebrate Corinth Elementary. Participants are welcome from in and outside the Corinth community. Registration will close online at midnight, Wednesday, April 24. If you would like to register after online registration has closed, you may register in person at Packet Pickup. Cash or check payments will be accepted. No credit cards will be accepted. DRY FIT SHIRTS are available for an additional $10 in the store, as an alternative to the cotton race shirts. Please select your shirt size in the registration section and before you check out you will be asked to add on the dry fit shirt for an additional $10. DEADLINE TO ORDER DRY FIT SHIRTS IS APRIL 5th. BY ORDERING THE DRY FIT SHIRT YOU WILL NOT RECEIVE THE COMPLIMENTARY COTTON SHIRT. Interested in doing the 5K or 1 mile fun run to complete the Kids Marathon? Get the form from Coach Rider for more information and a chance to enjoy an extra recess during school!